We brought together a group of analysts for an in-season devy mock draft. The fantasy football stock market is constantly fluctuating and it is always important for us to know which players have a price that has become exploitable whether it be to buy or sell. 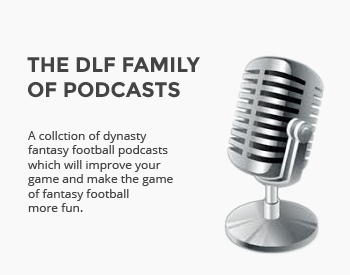 Pieces like this one have been fairly commonplace in the industry for a while in both redraft and dynasty, but I will be focusing on college players for devy dynasty leagues and how their week-to-week performances are affecting their price in those leagues. For the next two Devy Stock Market pieces, I will be review a two-round round devy mock conducted on November 18-19th with many of the top devy analysts in the industry. Players in the class of 2019 were not eligible to be drafted, so these players are from the classes of 2020 and 2021. The format that we drafted with was superflex/1 PPR. Worst team gets both Swift 1.01 AND AJ Dillon 2.01? That should turn their team around. 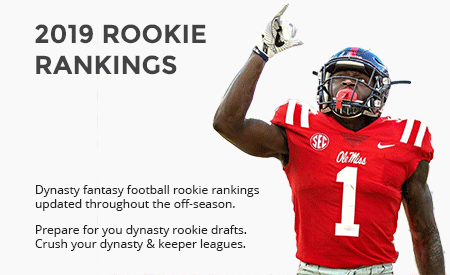 Excited for the 2019 Superlex Rookie Draft articles to start rolling out! @ TL IIRC most of these guys at least the top tier are in the 2020 class.